If you are craving delicious, mouth-watering, smoked barbecue, you are in the right place! Some of the area’s best barbecue restaurants are only minutes from Stanton House Inn. 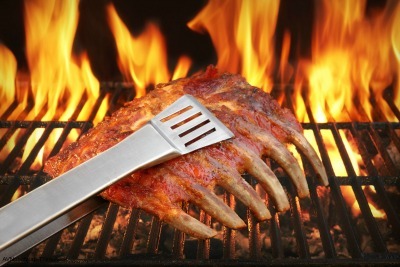 Whether you want to dine-in, carry out or have it delivered, here are 3 great places for the best BBQ in CT.
You can learn about all of the fantastic restaurants in our area, including the best BBQ in CT, by downloading our free Vacation Guide. The guide also contains suggestions for the best things to do and see during your stay at the Stanton House Inn. Brother Jimmy’s BBQ invites you to “Put Some South in Yo’ Mouth!” For over 25 years, Brother Jimmy has been serving North Carolina slow-smokin’ barbecue with plenty of Southern hospitality. As suggested by the restaurant’s slogan, Brother Jimmy’s mission was and still is to bring “down-home” cooking, hospitality and merriment to the heart of the Northeast for brunch, lunch, and dinner. Brother Jimmy’s pulled pork, brisket, ribs and chicken are slow-cooked to perfection. Can’t decide which one to order? Try the BBQ Sampler! Sides include all the Southern favorites like fried okra, cole slaw, and mashed potatoes. Brother Jimmy’s BBQ merchandise, condiments and gift baskets are available at each location and online. Merchandise includes Tshirts, sweatshirts, and hats. Purchase some of Brother Jimmy’s sauces separately or in a gift basket to take home and enjoy later. Brother Jimmy’s BBQ is less than 7 miles from the Stanton House Inn. The Dinosaur Bar-B-Que started out over 30 years ago in New York and the Stamford, CT, location opened in a renovated factory in the historic Harbor Point area in 2012. Dinosaur’s barbecue and signature sauces have received plenty of attention from national publications like Men’s Health and Eating Well magazines. The restaurant was also named the country’s “No. 1 BBQ” on Good Morning America. The menu includes barbecue ribs, chicken wings, brisket, sliders, Creole deviled eggs, and more. Dining with a group and want a little bit of everything? Try the “Family Stylin’ BBQ” for a whole chicken, full rack of ribs, pork or brisket, three sides, and cornbread. Dinosaur Bar-B-Que is less than 7 miles from the Stanton House Inn. 845 Canal St., Stamford, CT.
Monday-Thursday 11:30 A.M. to 11 P.M. Delivery hours: Monday –Thursday 11:30 A.M. to 10:30 P.M. Friday and Saturday 11:30 A.M. to 11 P.M. and Sunday 11:30 A.M. to 9:30 P.M.
Bobby Q’s Bodacious BBQ and Grill is just 3 miles from the Stanton House Inn in the heart of downtown Westport, CT. As the story goes, Bobby Q’s restaurant was created out of a love for barbecue found in Kansas City. Bobby Q’s is a local favorite for lunch and dinner and a popular spot for live entertainment. Menu favorites include their award-winning Smokehouse Chili, St. Louis Pork Ribs, and the open-faced beef brisket sandwich. Cornbread with honey butter, creamy cole slaw, and sweet potato fries with honey molasses barbecue sauce for dipping are some of the must-try sides. Bobby Q’s legendary sauces and delicious pulled pork, ribs, burgers, specialty dogs, and more have been rated “Best of Gold Coast” by Westport Magazine and voted “Best BBQ” by the Fairfield County readers of Connecticut Magazine. Bobby Q’s Bodacious BBQ and Grill is less than 40 minutes from the Stanton House Inn. 42 Main St., Westport, CT.
Monday – Thursday 11:30 A.M. – 3 P.M. and 4:30 P.M. – 9 P.M.
Friday 11:30 A.M. – 3 P.M. and 4:30 P.M. – 10 P.M.
Saturday 11:30 A.M. – 10 P.M.
Sunday 11:30 P.M. – 9 P.M. When it comes to comfort and convenience, the Stanton House Inn is one of the best accommodations in Greenwich, CT. When you stay with us, you’ll be minutes from incredible attractions, activities, and restaurants, including the best BBQ in CT.
Our historic bed and breakfast features 20 gorgeous guestrooms, a delicious daily breakfast, and a cozy atmosphere. Book your stay today or download your free copy of our Vacation Guide for all the best local recommendations.